If you're planning a spring wedding, take a look at some of the prettiest ideas we've seen yet. Spring weddings can range from early March to mid-June. 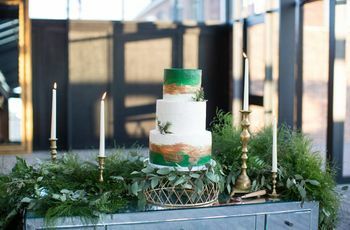 The spring months continue to be a very popular choice for weddings across the country, but they've seen some heavy competition from the fall months (especially October) in recent years. Spring is known as the season of rebirth because after a long (and oftentimes dreary, depending on where you live) winter, everything magically becomes green and fresh again. If you're planning a spring wedding, celebrate the natural beauty and renewal of the season by choosing a botanical venue. 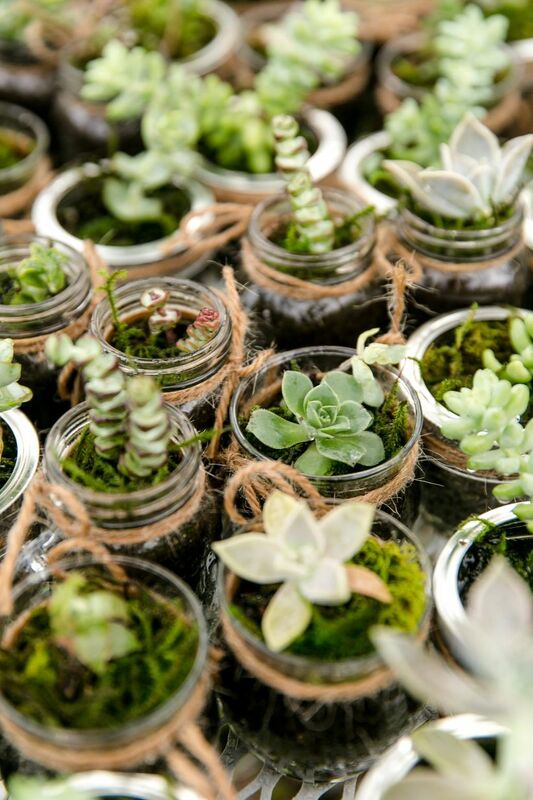 Some of our favorites include conservatories, arboretums, gardens, and greenhouses. In the spring, these locations will have an abundance of flowers and plants in bloom, creating a picture-perfect backdrop for your wedding. If pastels or bright colors aren't your thing, we totally get it. If you prefer richer tones, for example, red, plum, or emerald, choose one as your main color, and then accent it with a neutral and a "muted" pastel, such as French blue, mauve or sage green to achieve a happy medium. 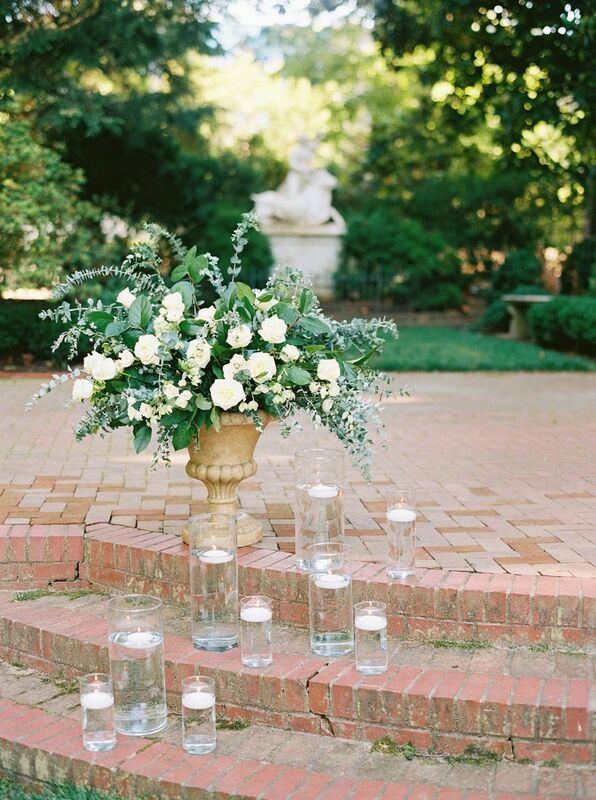 Anything too dark will typically seem out of place for a spring wedding. 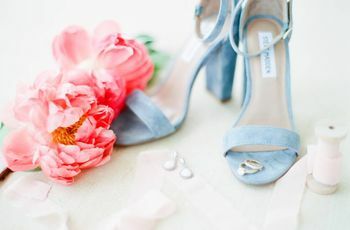 If you ask us, we think that flowers should definitely play a big role in spring wedding style (we bet you didn’t see that coming!). 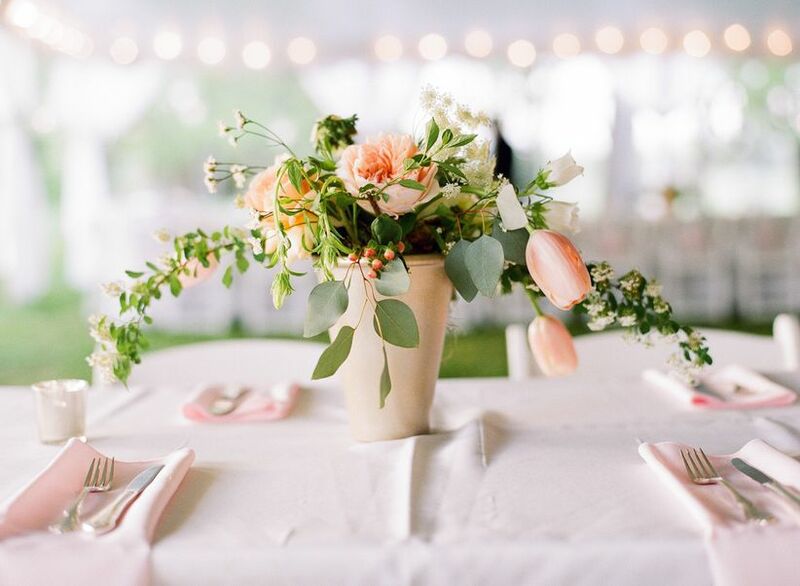 Go the floral-inspired route with patterned linens and china, or use actual flowers to transform your wedding venue into your own secret garden — think flower-covered ceremony backdrop, floral chandeliers, and a flower wall. If your floral budget is a little tighter, don't sweat it. 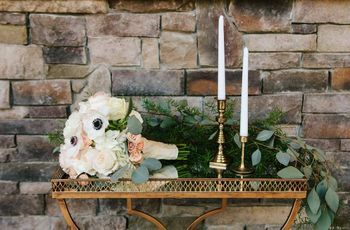 Focus on using flowers where they will pack the most punch, such as your reception centerpieces, and invest in accents like greenery that will "boost" your arrangements. 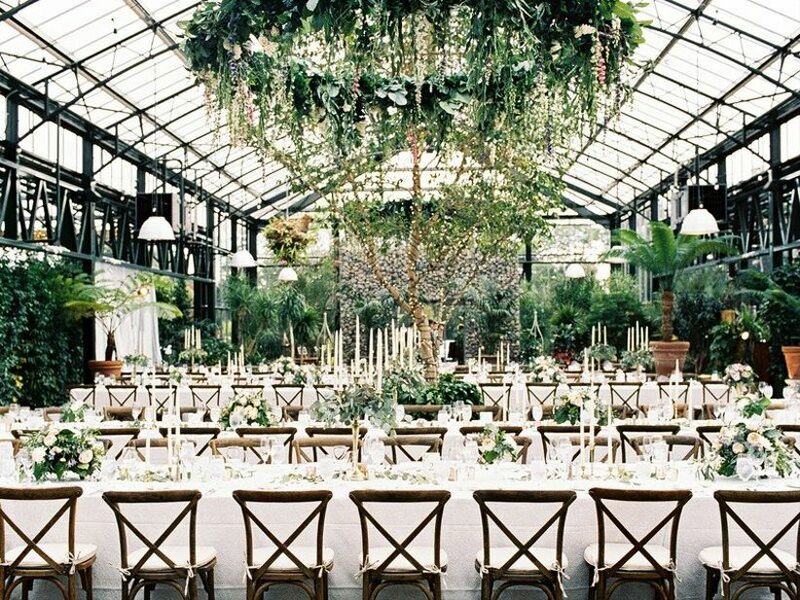 Remember when we mentioned the idea of getting married at a botanical venue? If you choose a blossoming garden or conservatory, you can get away with using less decor, thanks to the existing flowers, plants and other details that are already filling the space. This gives you more room to allocate your budget to specific items, like a custom cocktail bar or renting those vintage tufted chairs you've always dreamed about. 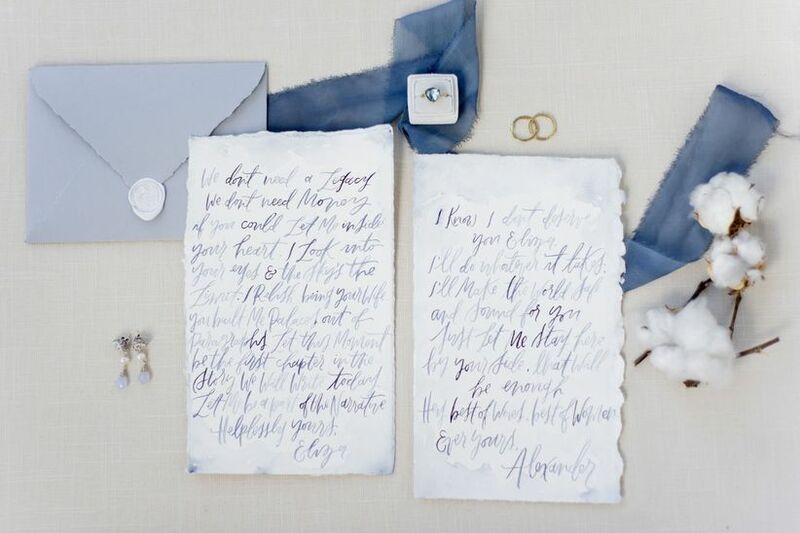 Another way to incorporate flowers into your spring wedding is by using them on your stationery. 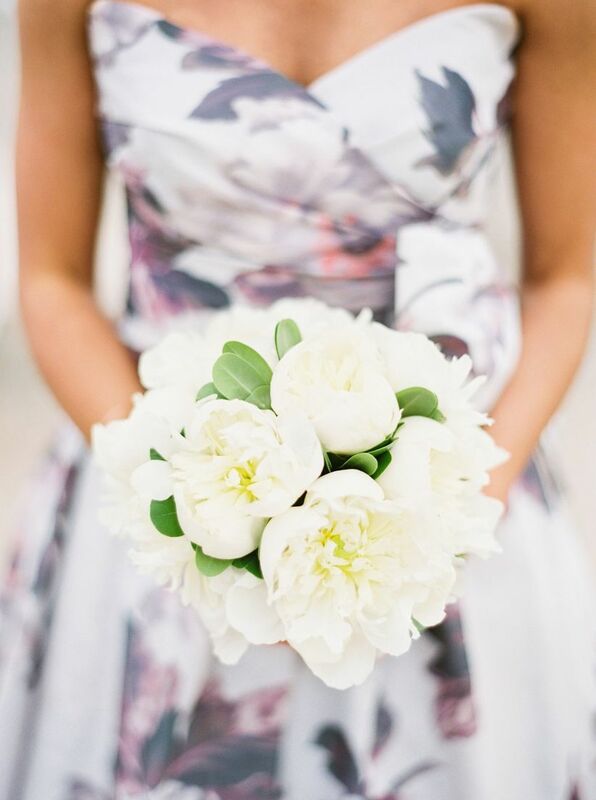 Watercolor florals have been a favorite of ours ever since they became a trend several years ago, and they seem to be sticking around for the long haul. 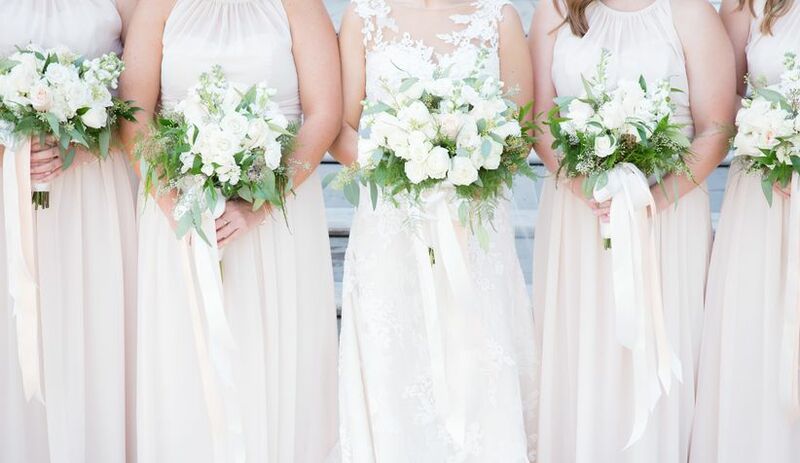 You can also go with a more subtle option, like these barely-there greenery details against a clean white backdrop. 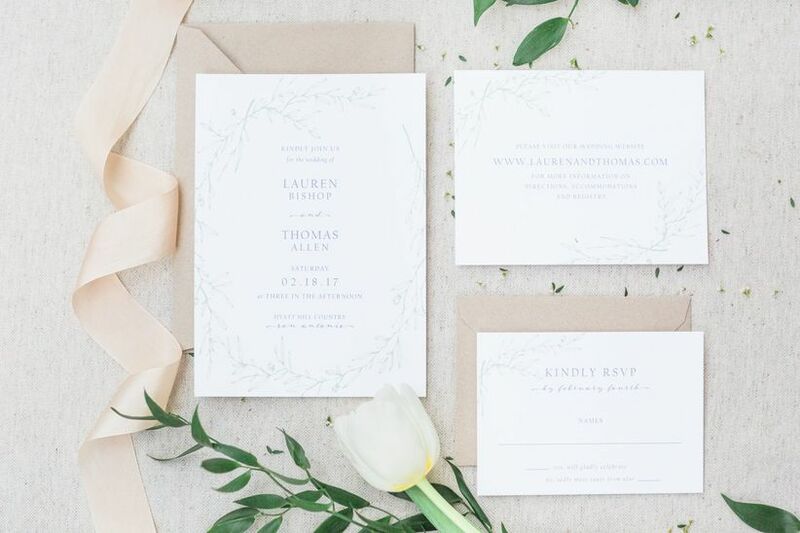 If you don’t want your invitation suite to be totally covered in flowers, floral envelope liners look lovely and will add just enough of a "pop" to your invitation suite. 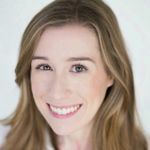 If you’re wearing a wedding dress, sleeves are a beautiful option, especially if you're having an early spring wedding (they can provide a bit of extra warmth in chilly temperatures). A dress with sleeves looks modern yet elegant at the same time. For a more relaxed vibe, choose a dress made from lightweight fabric that will move as you walk, such as organza or tulle. Lastly, don’t forget to factor in Mother Nature. 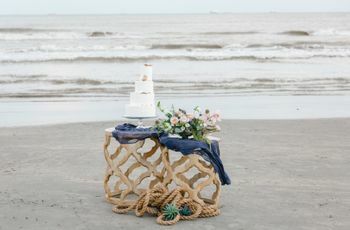 We all know that the spring season can be notoriously rainy, and even though rain on your wedding day might seem like an inconvenience, it doesn’t have to ruin your big day — you just need to plan ahead. Prep for inclement weather by stocking up on cute rain boots, umbrellas, and even matching raincoats for your wedding party to wear. We promise that they'll make for a one-of-a-kind photo op! Thinking about a suit or tuxedo? Classic black and white is always in fashion, but it's not your only option. 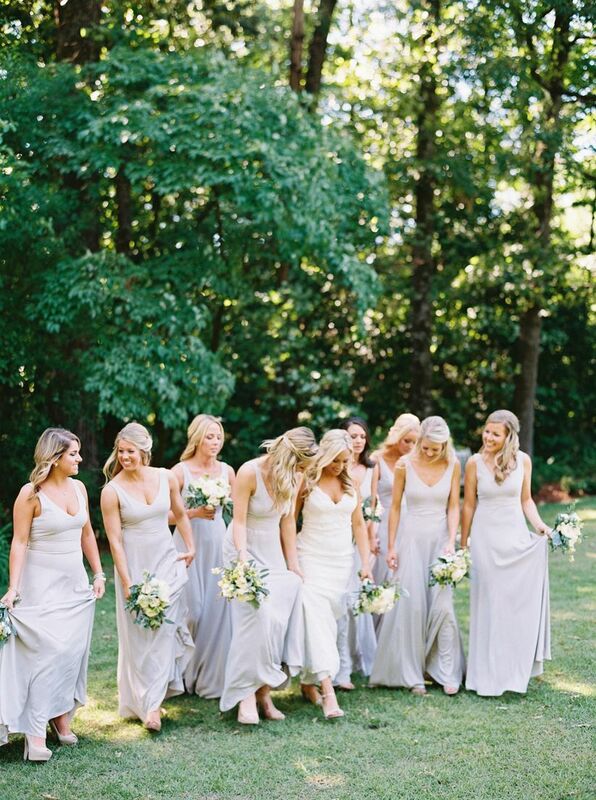 For weddings with a more casual dress code, we love a light gray, tan or light blue suit. All of them will emphasize the "fresh" feel of a spring wedding, and they tend to photograph wonderfully. 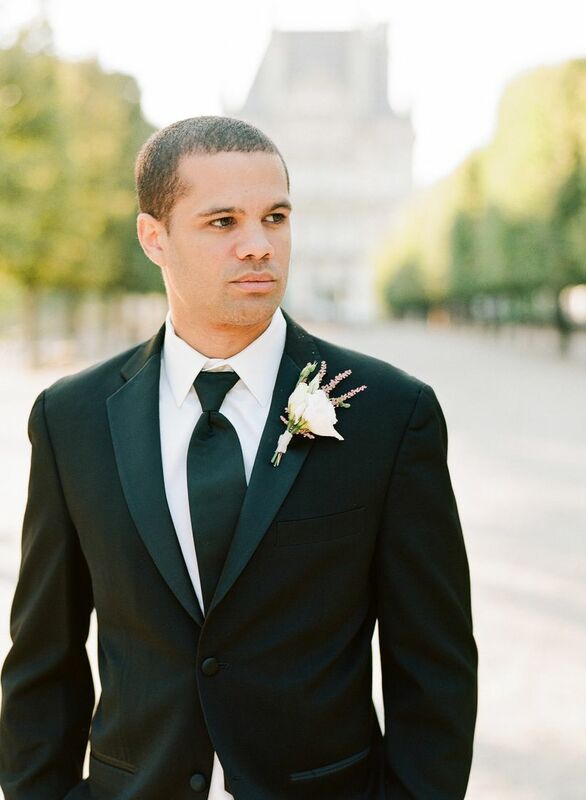 If you're wearing a tuxedo, switch things up by going with navy blue instead of black. For spring wedding cakes, it’s no surprise that flowers are one of the most popular decorations. Ask your florist to set aside a few extra flowers that your wedding cake baker can use for decoration — roses, ranunculus, peonies, dahlias, and greenery are all excellent options. If you don’t want to use actual flowers, sugar/gum paste flowers are just as pretty. 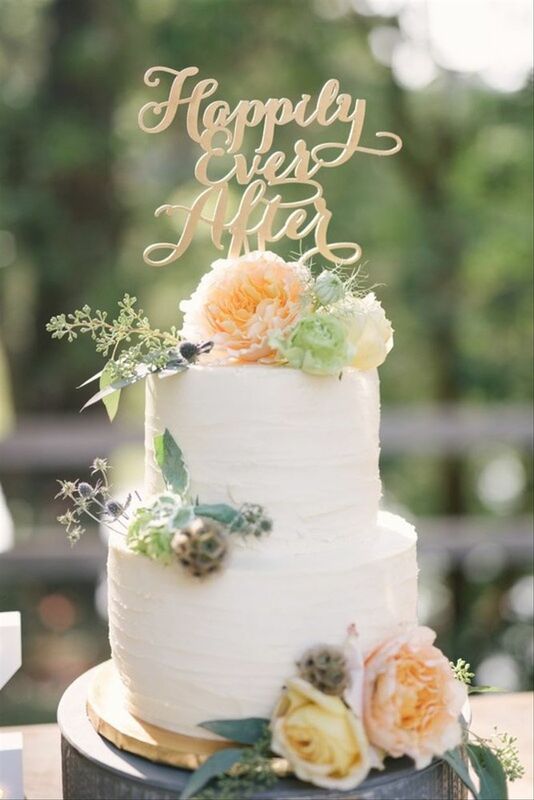 Ruffled tiers, ribbons, floral-painted fondant, and naked or semi-naked cakes are all gorgeous options, too!